Bert Kitchen has illustrated and written a variety of books about interesting animals. Many of the books seem out of print or difficult to find, but I’ll keep nosing through the bookroom to see if we have any others. If not, we have a TON of guided reading book sets about unusual mammals, insects, and birds that would be a good complement to this text. 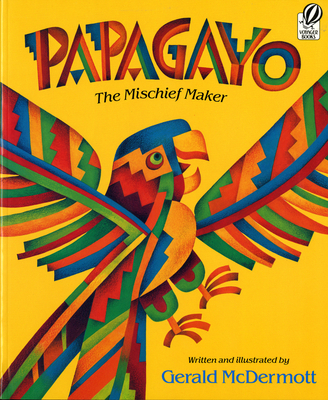 If you’re looking for another mentor text to go along with this, check out the lesson plans posted for A Hummingbird’s Life. Determine and analyze author’s purpose and support with text. As you go through the text, keep a running chart with the characteristics each of the animals seem to have in common with each other. At the end of the book, an author’s statement is included, so they can compare their ideas with his intent. Tune in to interesting words and use new vocabulary in my speaking and writing. It’s exciting to see strong adjectives, strong verbs, AND strong nouns in this text, and it might be useful to do a word sort having students categorize words according to the different forms of speech (which will help make students more comfortable to use them independently). I might suggest these words for a word sort. Adjectives: formidable, devastating, brackish, grating. Verbs: merging, recoils, cruises, emerge. Nouns: mangroves, surface, plumage, fringes. Use prior knowledge and context to predict and confirm meaning. In addition to neat unfamiliar words, the text also uses many words in ways that are different from casual speech. which would be good for conversation or charting, particularly with pictures. Potential words to discuss include: bed, meat (shellfish meat), dense, fringes, recoils, cruises, throw, call. 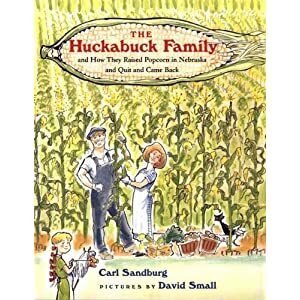 I believe this book is taken from Carl Sandburg’s Rootabaga Stories. You can read tons of the stories online here. Read more about Carl Sandburg here. I have a special part in my heart for David Small, the illustrator of this book. Small, who also wrote the excellent books Imogene’s Antlers and That Book Woman, is pretty amazing at writing books about folks who live around the time of the Great Depression and usually spend most of their days in a rural setting. He also had a pretty insane childhood, which you can read more about in his autobiographical graphic novel Stitches. There are also several good book titles at the back of the book for further reading. John Muir started the Sierra Club, which has a bunch of biographical information at its website. You can learn more about Muir’s hometown of Dunbar, in Scotland, here. If you want pictures of Dunbar, contact me and let me know. It was one of my favorite places that I visited in Scotland. Stickeen comes with a pretty high-level lesson about inferences, figurative language, and similes. Please leave this lesson in the book bag, as it is the master copy. The lesson suggests pairing the book with Old Yeller or Where the Red Fern Grows. Both of those books are former SFA books, so 4th and 5th teachers should have 4-5 copies in each classroom if you wanted to use them in a shared reading. Predict what will happen; use text to confirm. It would be interesting to see if students think that Stickeen will start out being John Muir’s best friend — so many books are written with canine pals, that this might be the case. If they do think they will start off with a strong bond, question them throughout the text as to how their prediction might shift or change. Recognize literary elements (plot, setting, theme). As mentioned above, because this is a narrative nonfiction, it can still be used to discuss the importance of plot and setting. Additionally, the included lesson plan touches on the theme of determination. Adjust and apply different reading rates to match text. Although students are often advised to read fact-heavy nonfiction books in second gear (1st gear: memorizing, 2nd gear: absorbing facts, 3rd gear: reading as fast as one would speak, 4th gear: skimming), you could talk with your students about why it matches the narrative flow of the book to read it in 3rd gear, but to make sure to stop frequently to check for understanding.